For those who can’t find Ant View on FB 4.5. 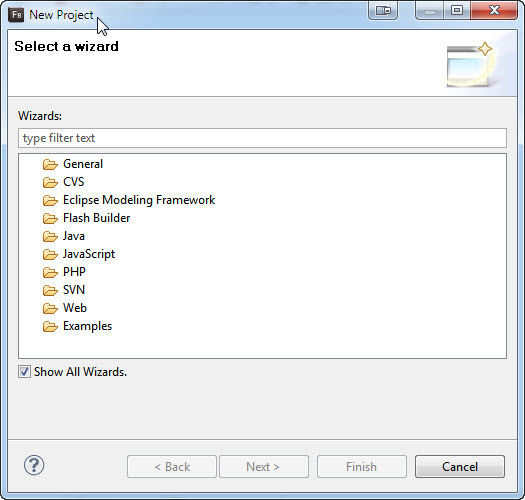 Step 1 : Go to File->New Project to open the Project Wizard. Step 2 : Check Show All Wizards. Step 3 : Expand Java from the list. 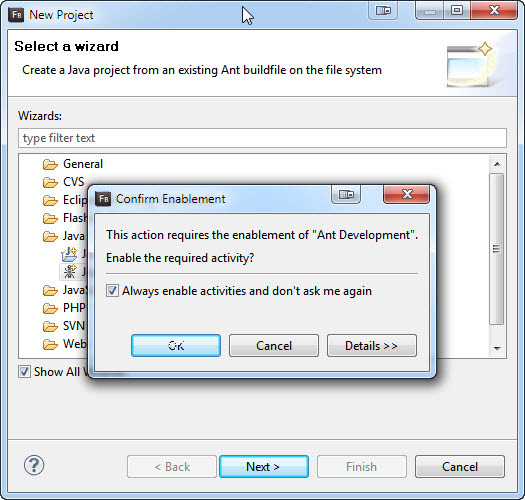 Select Java Project from Existing Ant Buildfile then click Next. 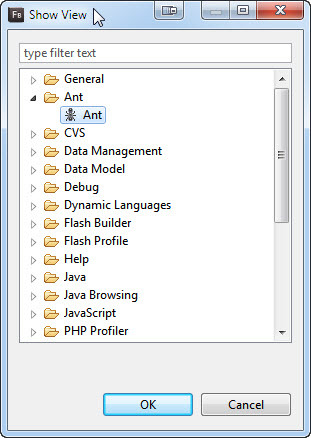 You’ll be prompted with a dialog to enable Ant Development. Step 4 : Check Always enable activities and don’t ask me again then click OK. Step 5 : Back on the Project Wizard. Click Cancel. Now you should see ANT when you go to Window -> Show View -> Other.